Are you a vegetarian, planning a trip to Phuket anytime soon? First week of October is a good time, for there will await a culinary extravaganza that you absolutely must attend! Why is this a must attend? Because it is a vegetarian food festival! This year, it will be held from October 1 – 9. The Phuket Vegetarian Festival is a nine-day celebration held in the month of October which happens to be the ninth lunar month of the Chinese calendar. During these nine days, those who are observing the festival, give up meat and non-vegetarian food, and adhere to strict vegetarian diet. Legend has it that once upon a time, a wandering opera group from China fell ill while performing in the island, and the festival came into being then though the origin is not very clear. When they fell ill, they decided to pray to the nine Emperor Gods and followed a vegetarian diet. Soon afterwards, the group regained health and all the members became fit again. It is said that since then, the festival is celebrated regularly. With time, the festival as grown and now it attracts thousands of people from China and rest of Asia. Apart from the food, culture and people, you will get some entertainment as well. 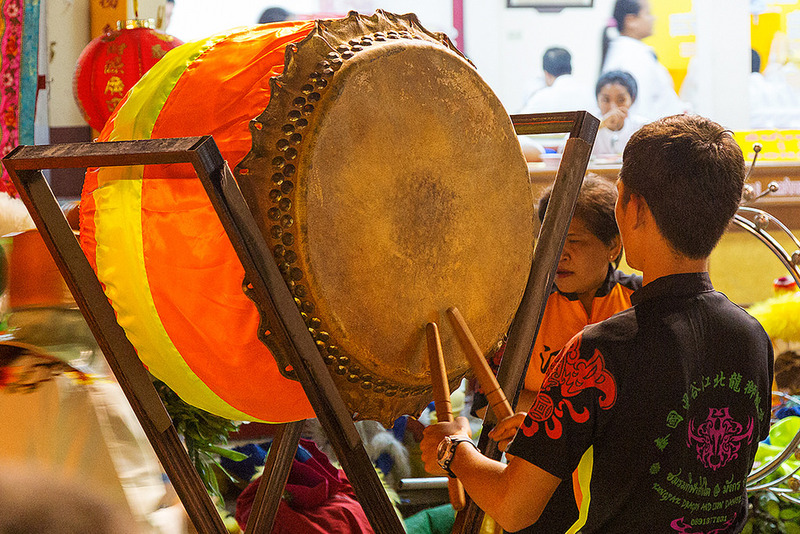 The festivities are help around six Chinese temples which are located at different spots in Phuket. The raising of the lantern pole is held on the first day and with this event, the Gods are informed of the commencement of the festivals.